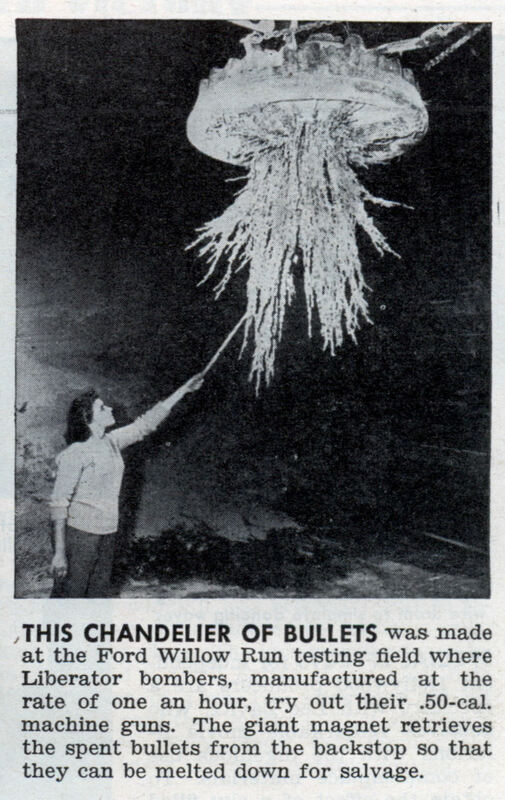 THIS CHANDELIER OF BULLETS was made at the Ford Willow Run testing field where Liberator bombers, manufactured at the rate of one an hour, try out their .50-cal. machine guns. The giant magnet retrieves the spent bullets from the backstop so that they can be melted down for salvage. Make chandeliers not wars… Link……. How can a magnet retrieve non-magnetic lead bullets? More total BS. Military does not use pure lead bullets, because those can’t penetrate armor. 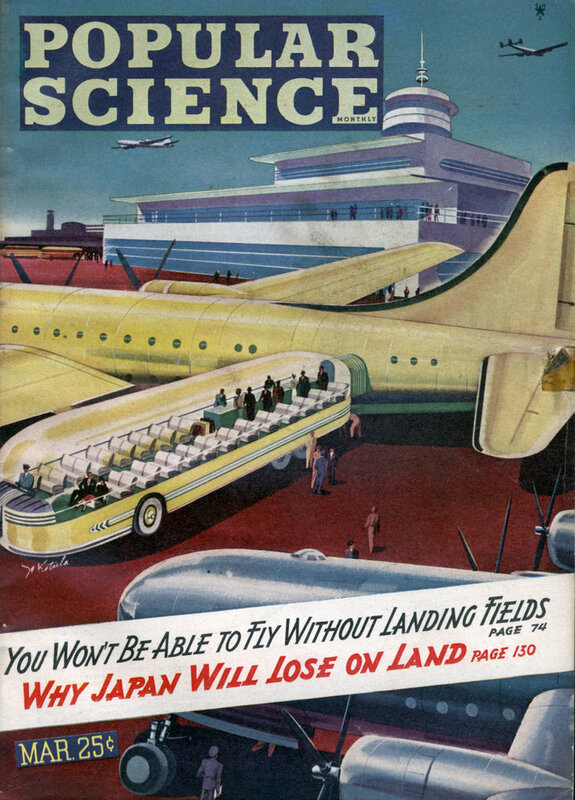 James: or a steel core penetrator but the point is that folks in 1945 had better things to do than to BS you.